The winter semester is coming to an end, and with that comes the stress of final exams, papers and assignments. In the music department, the end of the semester takes on a different meaning as the senior recital season begins. The department showcases their junior and senior students with an exciting schedule of recitals each year toward the end of the winter semester. This year, the first senior student to perform was a voice student from the studio of Dr. Vicki St. Pierre. 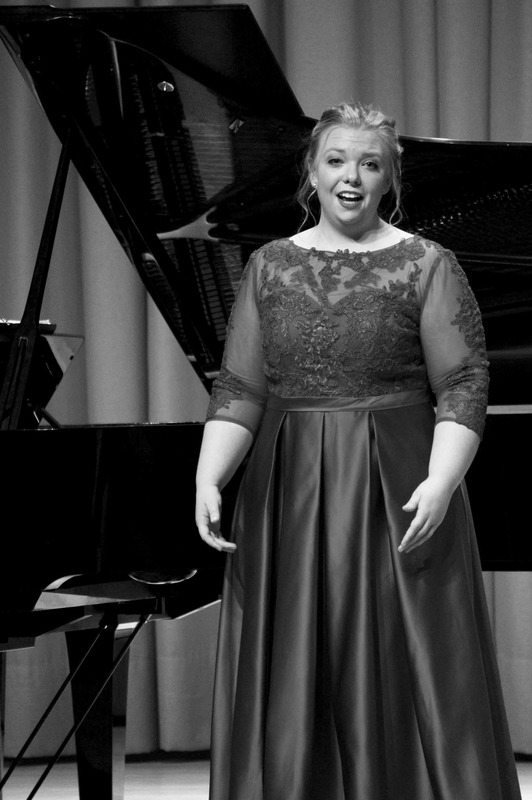 Sarah Sharpe, a fourth-year voice student, presented her recital on Saturday, March 10 in Brunton auditorium. Her program included a broad range of works that showed a variety of vocal techniques and styles in different languages. Each piece was accompanied on piano by Sharpe’s friend and colleague, third-year piano student Martine Jomphe. Beginning her program with Bach and ending with Handel, Sharpe bookended the recital beautifully with two selections from the baroque period. The middle featured works by Schumann, Dvorak, Poulenc, as well as the fun piece Trouble in Tahiti by Leonard Bernstein. Sharpe displayed her strong diction skills in this performance. Singers in the department are required to take a class in diction as a part of their degree programs. This class teaches them how to sing in different languages and learn the different pronunciations for words that will help prepare them for a career in singing. Perhaps one of the most captivating parts of Sharpe’s recital was her use of body language in her performance. Her recital included pieces in English, French, Latin, Italian and German; with this diversity of languages sometimes comes a barrier for audience members. Sharpe’s use of body language gave the audience a better understanding of the text being sung while adding sparkle and variety to an already exceptional program. The goal of a senior recital is to not only celebrate all of the hard work put in over the course of a four-year degree. It is also a way to recognize the progress and the obstacles overcome by the student throughout their education. “I feel very grateful for the opportunity to perform my first full recital in such a warm and supportive environment,” said Sharpe following the performance. “The encouragement and support from both faculty and students have definitely contributed to my success as a performer and musician at Mount Allison. The numerous performing opportunities in this program helped to prepare for my recital.” Students are given many opportunities to perform in their time at Mt. A, including Collegium Musicum concerts and smaller recitals. “Because I was able to perform many of my pieces in front of an audience prior to my recital, I was able to take the stage with confidence,” said Sharpe. The student recital season at Mt. A is an entertaining and worthwhile experience. If you haven’t already, make your way to Brunton Auditorium to see what the music program is all about. The next student recital will be Friday, March 16 at 7:30 p.m. featuring vocalist Emily Steers and flutist Lucie Bauby.